You can easily change your payment method by going in the Settings area of your account and clicking the Update Payment Info button. 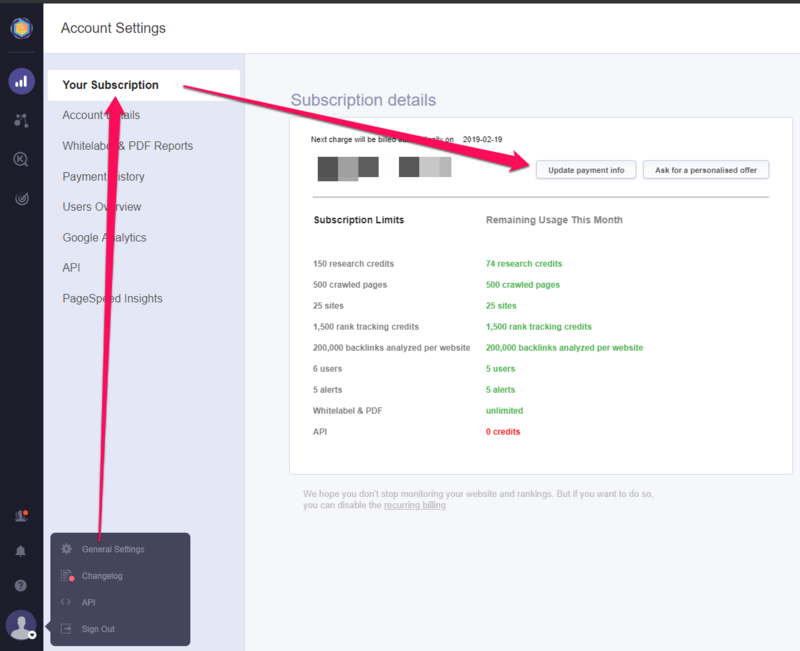 Note: There are situations when the third party billing provider that we use does not allow you to change the payment method on the current subscription. If this is the case we recommend canceling the current subscription and opening a new one (after the first one is deactivated – you will receive a mail when it is) with the new desired payment method.